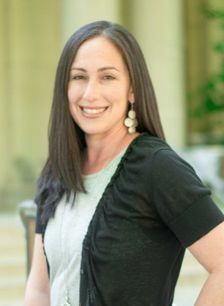 Laura Hosid has guided hundreds of high school students through the college admissions process since 2012, after seven years of work in higher education and a brief career as a practicing lawyer. With her background advising both undergraduate and law school students, Laura excels at helping students figure out what they want to do with their educational and professional lives. In addition to her work on the undergraduate admissions process, Laura offers law school admissions and career counseling to college students and recent grads. Laura is a graduate of the University of Pennsylvania and the New York University School of Law. Before coming to Vinik EPS, Laura worked at the Georgetown University Law Center where she served as an Associate Director of the Office of Career Services. In addition to her private practice, she spent the Spring 2018 semester working as the interim pre-law adviser at Georgetown University's Cawley Career Education Center. As an active member of the Independent Educational Consultants Association, Laura serves on the IECA Graduate School Committee, presents at national conferences about college admissions and career related issues, and has been featured on MSNBC, CNBC and in the Washington Post. She conducted alumni admissions interviews for the University of Pennsylvania for many years and served as co-chair of the school’s Secondary School Committee in Montgomery County, MD. Originally from Baltimore, Laura currently lives in Rockville, MD with her husband and three daughters. She is an active volunteer for the parent associations at the Charles E. Smith Jewish Day School and at Temple Beth Ami Nursery School. In addition to the Vinik EPS Bethesda office, Laura sees clients in her home office in Rockville/North Potomac, and by Skype. You can contact her at laura@vinikeps.com or (301) 660-6130. Watch a video of Laura explaining why she loves being an educational consultant!